Thomas had a heart that had taken one too many beatings. 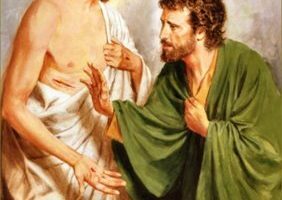 Despite his often being stigmatized by later generations as “Doubting Thomas” there is nothing in his past record to indicate such a defect of character. 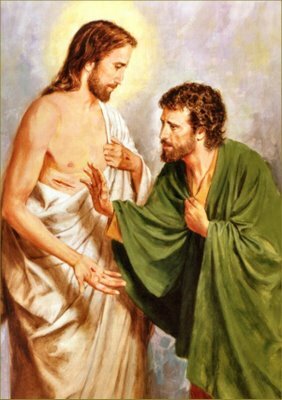 In John’s account of Christ’s raising of Lazarus, when the Lord said that Lazarus had died and that He was going to enter the cauldron of dangerous Judea to “go to him” (John 11:15), the disciples assumed that He meant following Lazarus by dying too in His attempt to visit the grieving family. They were properly horrified, and reluctant to follow Him on such a doomed mission. 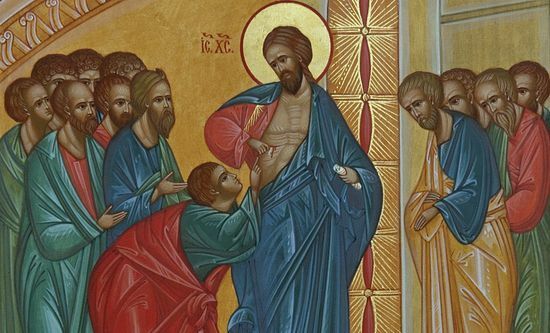 It was Thomas who spurred them on and said, “Let us also go, that we may die with Him” (v. 16). In other words, Thomas could not bear the thought of letting his Lord die alone, but was prepared to accompany Him even if it meant his death as well. This is not the utterance of a doubter, or of someone who is of two minds. Thomas had wrapped his whole life around Jesus, and that life would have no meaning without Him.